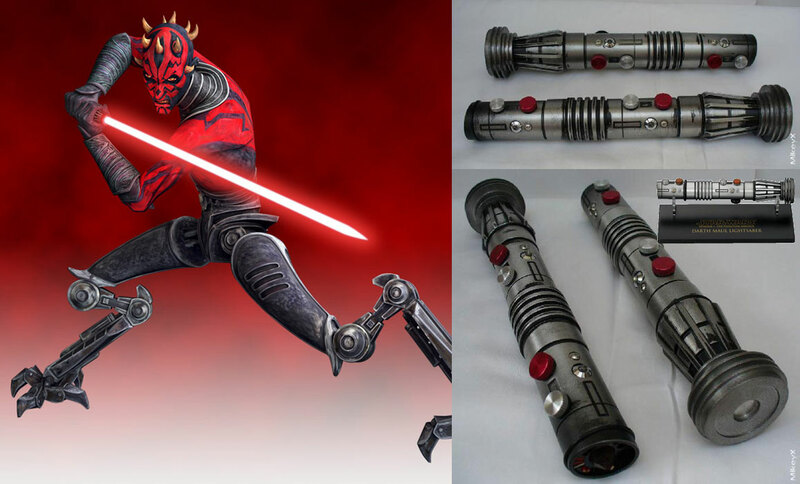 I got the new Darth Maul Returns Battle Pack from Target today and I wanted Maul to be wielding his battle damaged lightsaber like they depicted in The Clone Wars last season…so I grabbed some pictures off Google and went to town on my spare VC86 Darth Maul lightsaber. I started by trying to cut the hilt at a slight angle as it shows in the photos above, taped up the red blade and primed the hilt black. 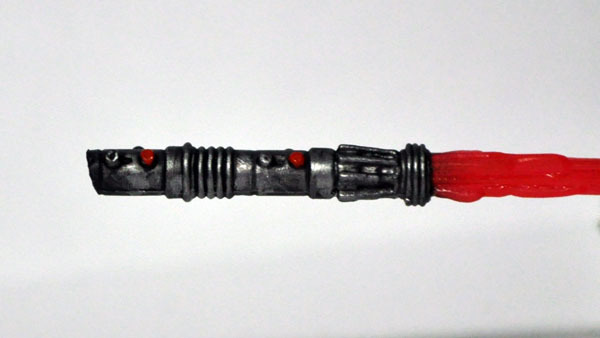 Used Games Workshop paints to repaint it in a dulled steel color scheme and finished it off by adding the red nut screws and some scoring on the bottom of the hilt where it was cut but Kenobi’s lightsaber. For the Yakfinities # 45 – Imperial Troopers contest I decided to build a simple 501st Legion Imperial ARC Lieutenant. 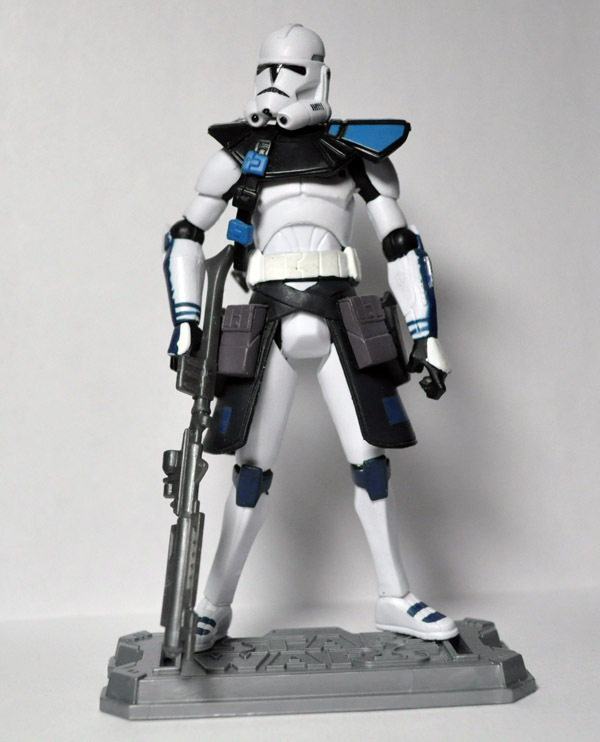 It was comprised of the 2012 CW2 Phase II Clone Trooper head, the Saga Collection Commander Appo’s pauldron and the 2010 CW ARC Troopers Battle Pack blue ARC Trooper’s body. No painting or converting was done to the figure…just some simple parts swapped to create a different looking figure. I decided to create my version of Zuckuss & 4-LOM in the animated Clone Wars style by basing them off of the original Empire Strikes Back figures I had when I was a kid. Picked up both of the Vintage characters on eBay…I bought very used pieces as they were going to be dismantled and restored/repainted, so couldn’t justify spending alot just to end up taking them apart. 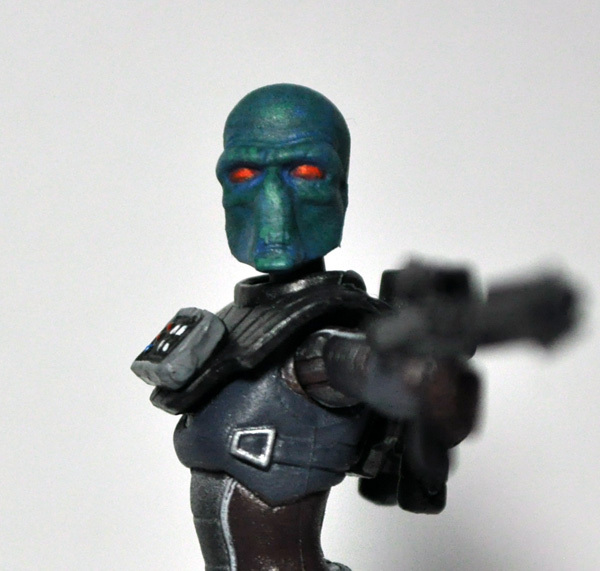 For the 4-LOM figure used the head from the original ‘Zuckuss’ and the body of the Clone Wars 4A-7 droid. I restored the head by soaking it in hydrogen peroxide for a few days (did the same with the ‘4-LOM’ head), trimmed down the mould lines that were present from the original casting, removed the ball jointed neck post from the 4A-7 head and glued it to the Vintage head, and then repainted the chipped paint on his eyes. I then added the red symbol to his chest and finished him off with the appropriate blaster rifle. 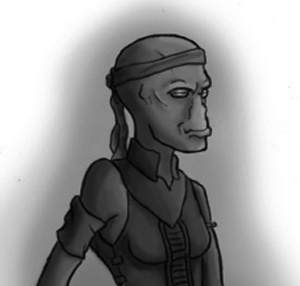 Zuckuss was a bit more involved, but not substantially. I started by using the Clone Wars Jawa (the larger of the two) as the base for his body, removed the head and the harness…I had considered replacing the hands but opted to leave them as is. The original figure was stripped of his robe, head and breather harness. I trimmed down the robe to fit the new body and also removed one of the front flap things at the bottom of the harness to better fit his new body. Gave the head some touch-ups as well as the harness and added the blaster that came with the Saga Legends Zuckuss as a finishing touch. 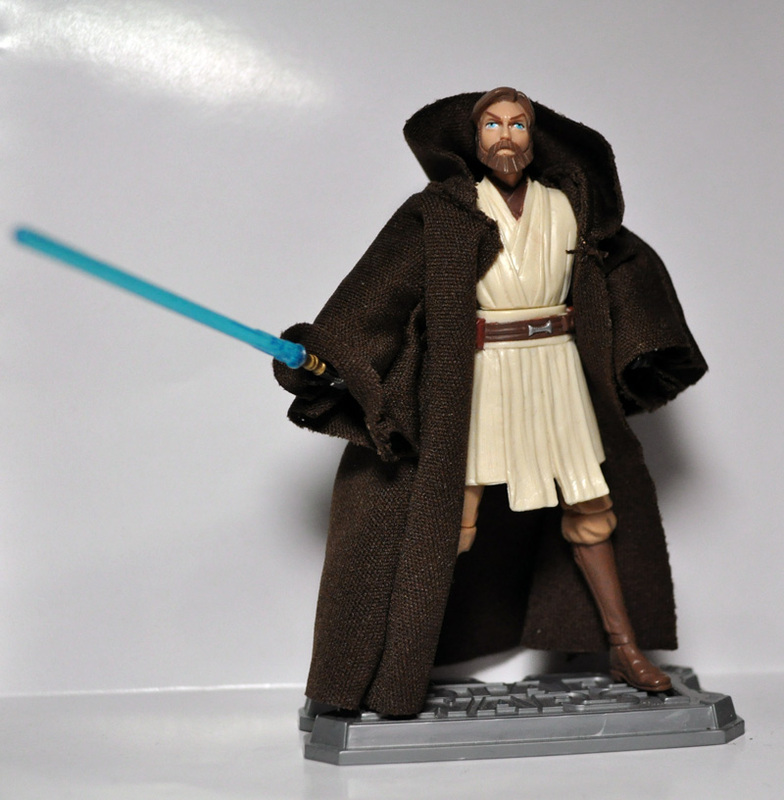 I took the 2011 CW40 Obi-Wan Kenobi and removed his forearms and put them onto the new 2012 CW12 Kenobi seeing how that figure didn’t have any wrist articulation. 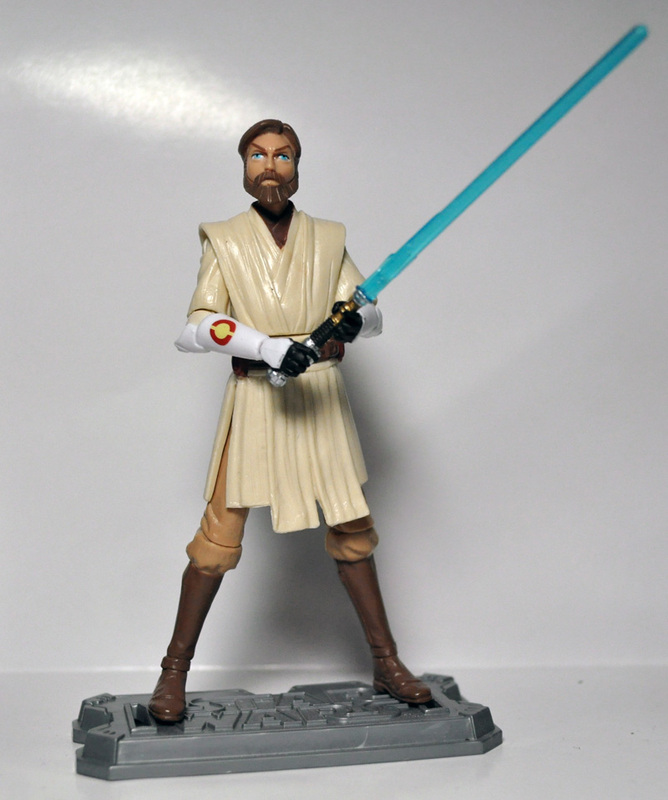 I also gave the new Kenobi the older lightsaber as the new one didn’t have any coloring done on the hilt. I’ve been slowly struggling to get things completed lately, but I did manage to sculpt some cybernetics onto this figures head and then drop a base coat of color on it…still a long ways from the finish line. I was planning to have this figure completed to enter into the Imperial Shipyards Hide In Plain Sight Contest as the photo novel character Nicola Acris created by CloneCrazy. Sadly, real life likes to rear its head now and again and put a halt to my hobby progress…so now Nicola Acris will be turned into some Sith-type figure. 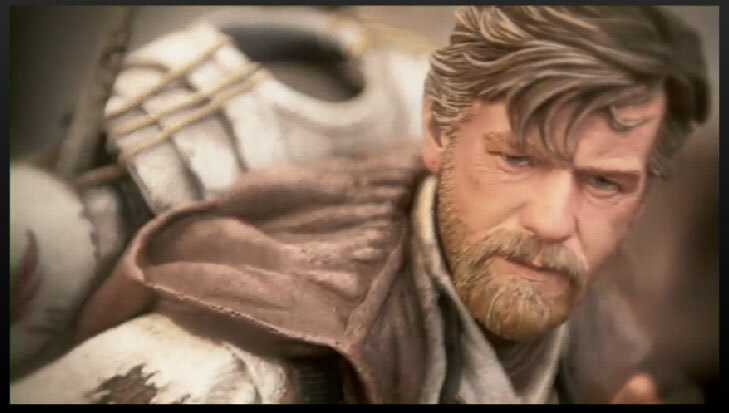 When Sideshow Collectibles announced through a teaser video back in Decemeber that they were going to be releasing a Desert Nomad Ben Kenobi Maquette, I knew I wanted to make this character into an action figure. 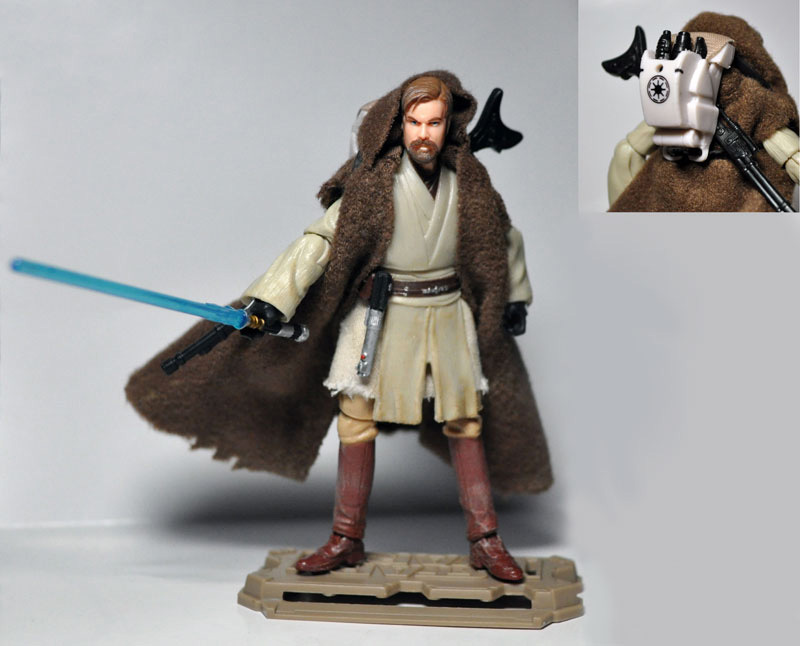 So I started this figure with the SL12 Obi-Wan Kenobi, used the hands from some Clone Trooper and the Republic backpack was pinched from the Clone Wars line. The other parts were just fodder bits from my parts drawer…including a Tusken Raider sniper rifle, a pair of macrobinoculars, as well as the hilt of Anakin’s lightsaber (Luke’s future lightsaber) that I added to his belt. All his soft goods were roughed up and distressed, painted his beard and mustache fully (stock paint job was just horrible), and also painted some weathering to his clothing and boots. 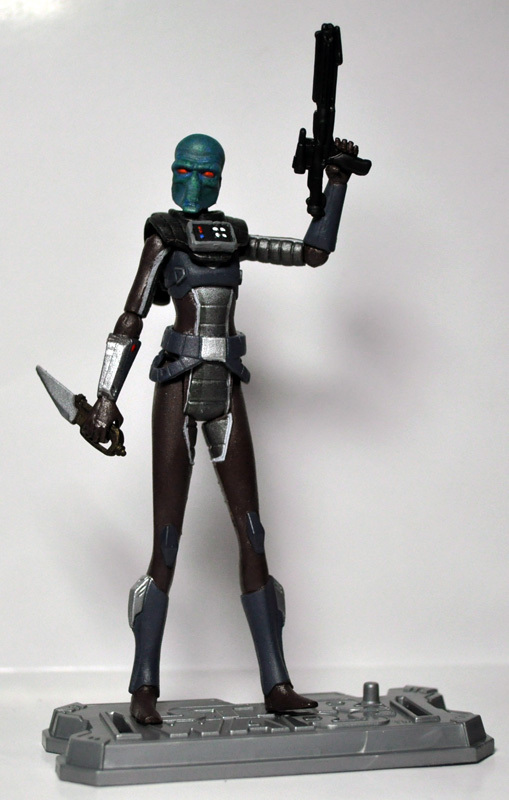 Having the leftover Scuba Ahsoka and a (Clone disguised) Cad Bane head I decided to mix the two together to create this female Duros character. Added the chest armor from the Clone Wars Aayla Secura (which I glued the Ahsoka breather tanks to the back), some random blaster and the knife from the Shahan Alama Clone Wars figure. The paint job was only applied to her head and the armor…figured the rest worked fine as a flight suit. You are currently browsing the archives for the The Clone Wars category.